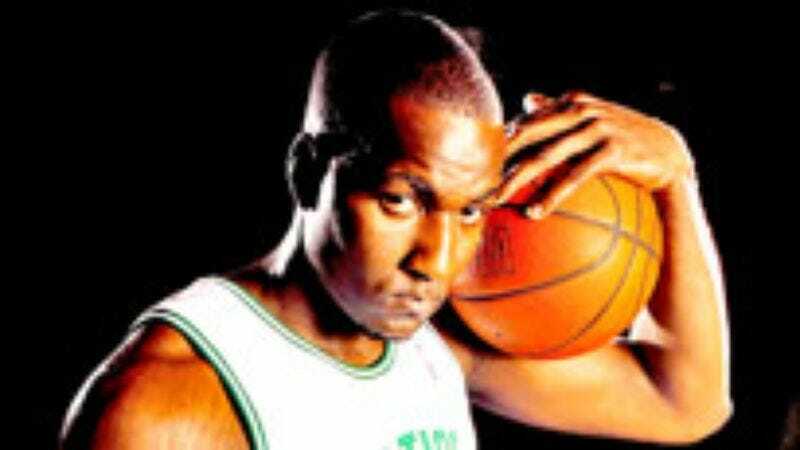 BOSTON—Celtics center Kendrick Perkins is operating under the assumption that he is one of the team's "Big Three" players, as evidenced by his post-game comments, a recent Sports Illustrated interview, and the fact that he shouts "Big Three, baby!" while holding up three fingers after every basket he makes. "Any time you put Paul Pierce, Ray Allen, and myself, Kendrick Perkins, on a court together, you're going to win a bunch of games—but let's not forget there are two other guys on this team, and their names are Rajon Rondo and Kevin Garnett," Perkins told reporters after his seven-point, two-rebound performance Sunday night. "In fact, if Kevin continues to play the way he's been playing, you may just have to start calling us the 'Big Four.'" Perkins added that this "Big Three" incarnation is even better than 2004's version, which he says included himself, Paul Pierce, and Raef LaFrentz.